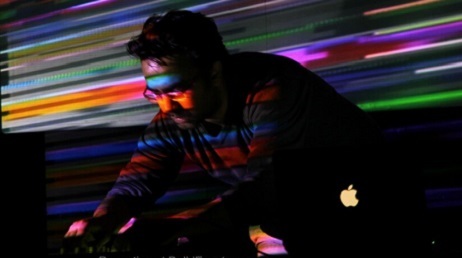 Ish Shehrawat (Ish S) is a composer, sound artist and a musician from New Delhi/ India. His primary field of interests are ‘Sound Art and Installation’ along with ‘electro-acoustic music’ and he has been presenting some of his works as Sound Installations and mixed media works. He is an electronic musician who has also trained in classical guitar. Producing these creative works under different pseudonyms and projects like – edGeCut, diFfused beats, Khayali pulao and 4th World Orchestra, he creates, collaborates and produces a wide spectrum of music and sounds ranging from Jazz to classical and from ambient to experimental electronic music and has developed his own style over a period of time. Ish has produced various sound art installations, albums and composed music for independent short films, plays, performances and Contemporary Dance Recitals. Ish also curates the ‘Sound Reasons Festival‘ for sound art and experimental electronic music. Having collaborated with many international artists, Ish has performed live and some of his works have been presented and installed around the world at the M Bar – BeatWave Festival, Helsinki | Queen Elizabeth Hall, London | ‘World Information City conference’, Bangalore , India | Electron festival, Geneva | Art Basel | Estonia | Goethe Institut, India | Electrogonner, Vienna | F+F Schule fur Kunst und Medien Design, Zurich | Inter Art Center Malmo, Sweden | Mahem, Copenhagen| Blue Frog, Mumbai | London College of Communication | The British Council and other venues across the world. His sound installations and compositions for contemporary dance have been presented and performed at the Center Pompidou, Paris | Theater Gessnerallee, Zurich | Dampfzentrjecale, Bern | Kulturzentrum Schützenmatt,Olten | Theater Phoenix, Steckborn to name a few.